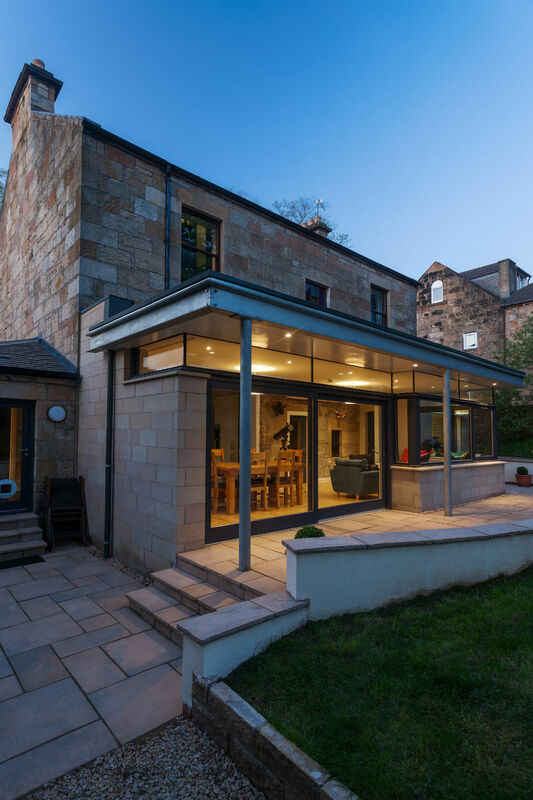 Single storey rear extension to detached Category B Listed blonde sandstone villa in the Crosshill Conservation Area. 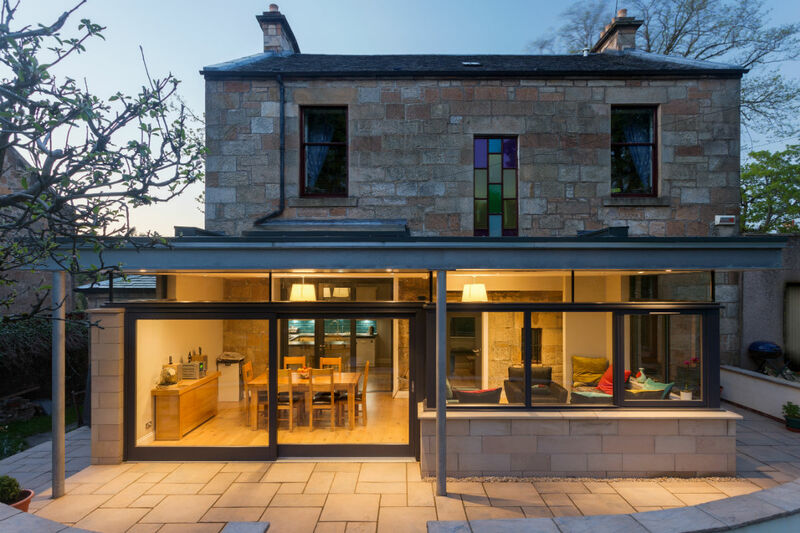 Our design approach was to create a building which co-exists harmoniously with the existing house yet has contemporary features and materials. 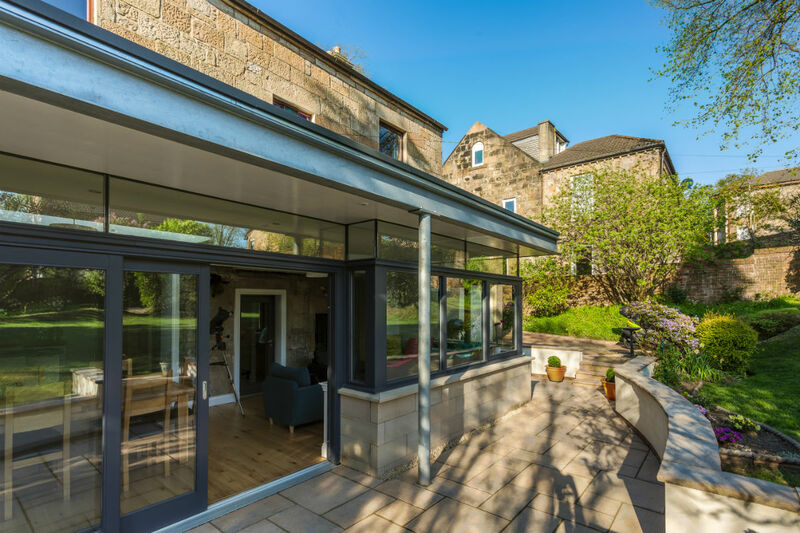 The low-pitch zinc-clad roof is supported on an exposed galvanised steel frame. 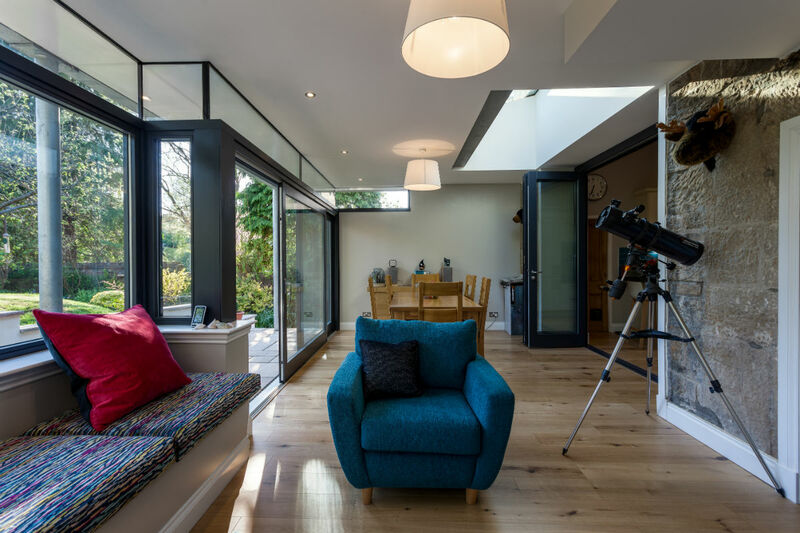 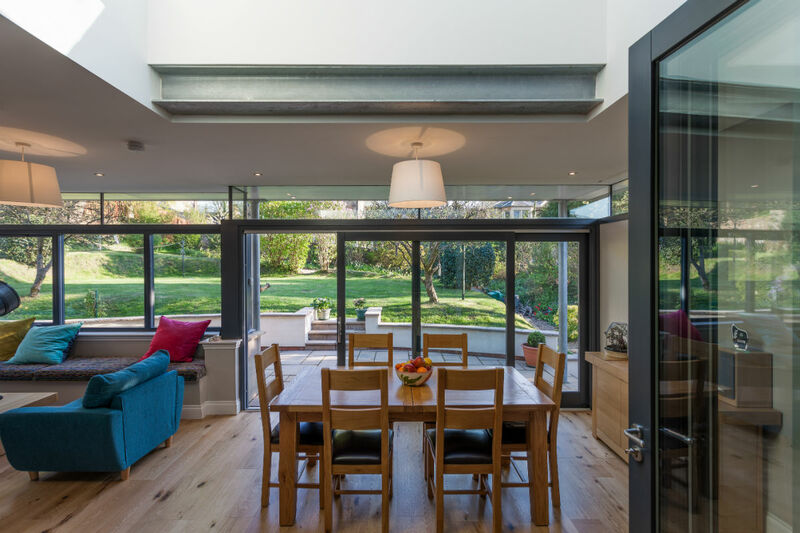 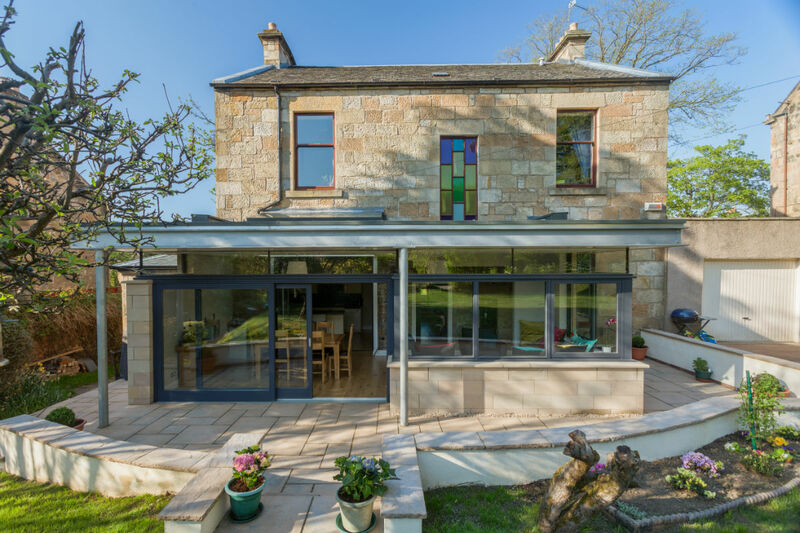 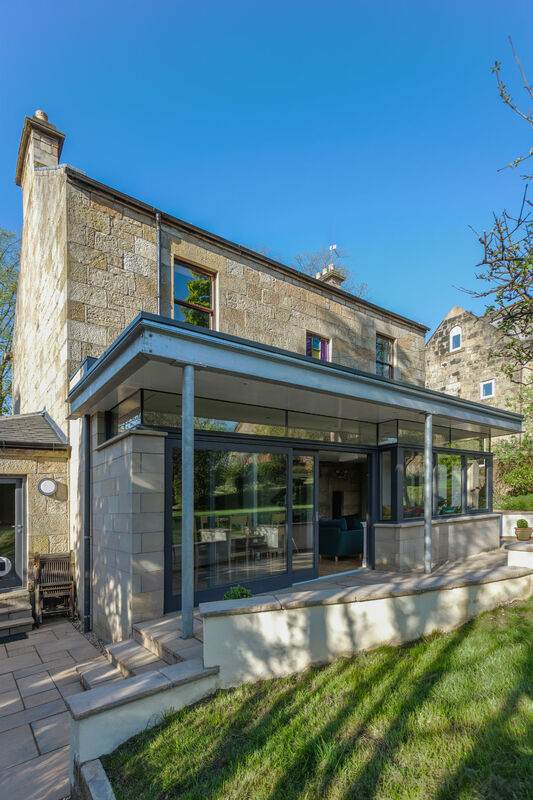 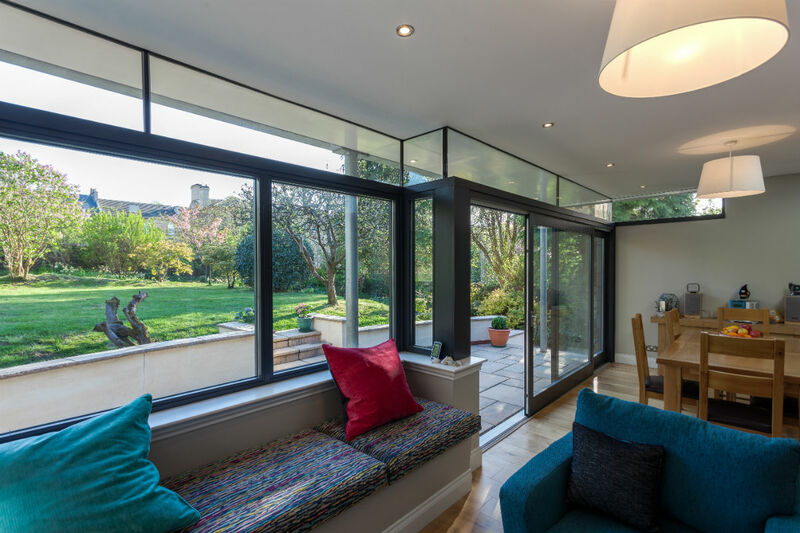 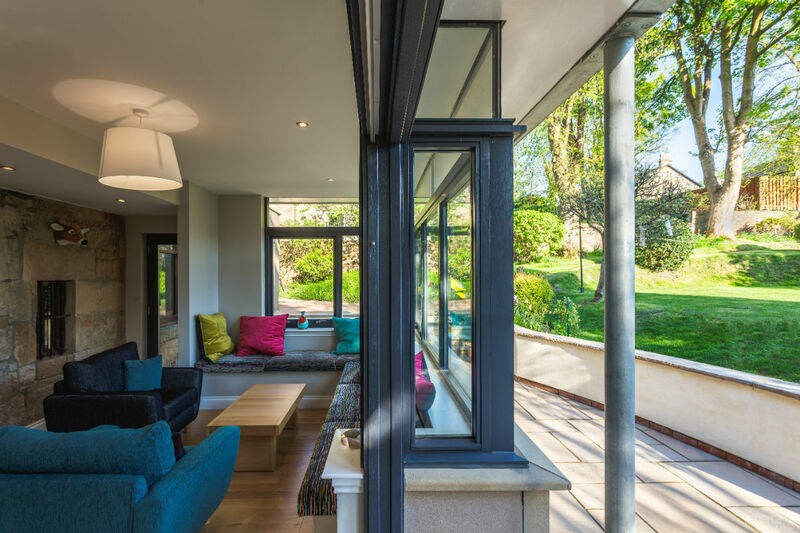 By ensuring no structural loads are taken down through the walls, this has allowed us to introduce a bespoke, frameless clerestory glazing system which, internally, gives the impression of a floating roof. 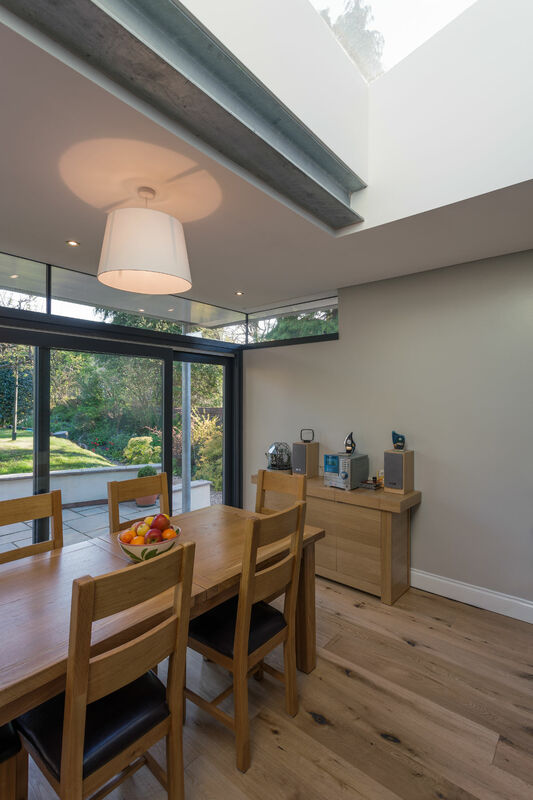 This is further emphasised by cantilevering the roof to one side. 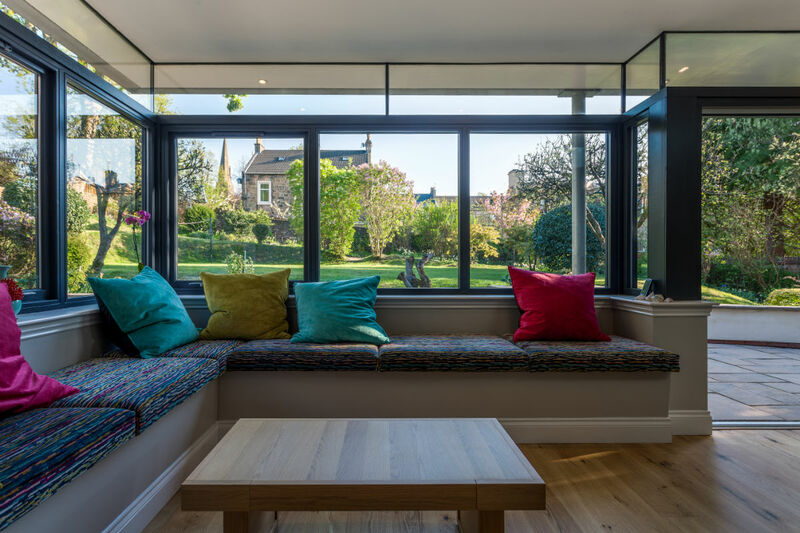 The result is a truly spectacular light-filled room with uninterrupted views and strengthened connections to the garden.